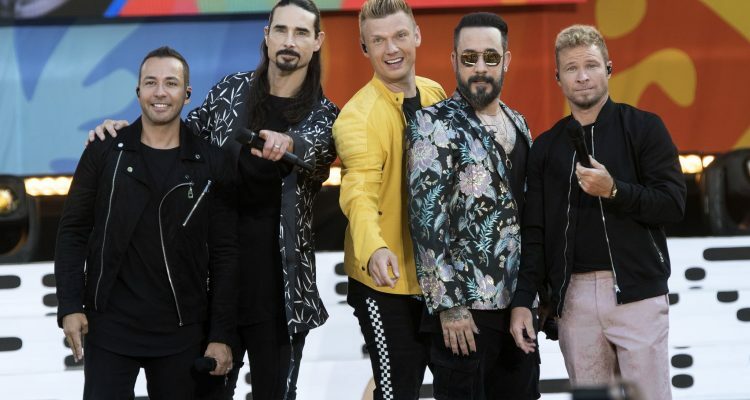 The Backstreet Boys are back in spectacular form thanks to their biggest tour in decades and their brand new album, DNA, that dropped on midnight of Friday morning. Their 10th full-length studio effort, features a long list of collaborators from Lauv to Andy Grammer, Stuart Crichton (DNCE) and Mike Sabbath and it also includes the previously-released tracks “No Place” and “Chances” (this week’s #41* Billboard Dance Club single). Band member AJ McLean noted in an interview that the group put lots of heart and soul into this new album, that aims to give each song its own unique time to shine. This May, the boy group-turned man band will kick off their three-month long DNA World Tour, that promises to be their biggest arena jaunt in 18 years. Just days before, BSB’s Las Vegas residency “Backstreet Boys: Larger Than Life” will come to an end. Until the tour starts, listen to their new RCA Records-released album below.